The black color here pairs well with just about anything, but we love to see the Suede Rally Krono Straps worn on a vintage sports watch. These straps go well for any occasion, dressy or casual. A hand-made French suede strap has been the choice of international men of taste for years. 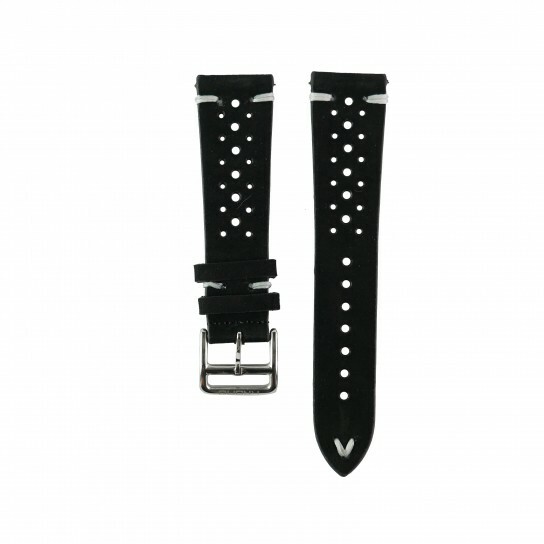 Our Rally version gives it a Biker Style which is a little less understated than our classic suede straps. Why not try something different?